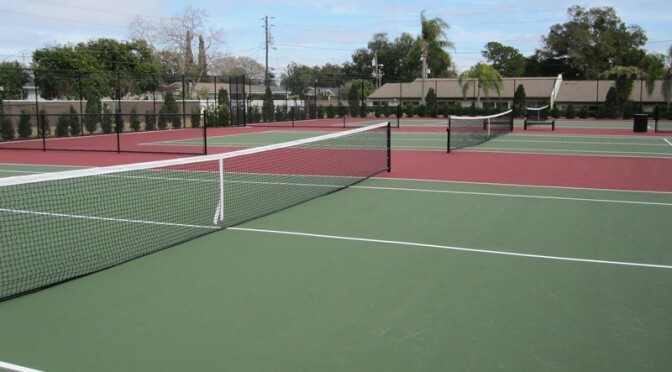 SportMaster products are installed throughout Florida by expert tennis court contractors. Contact your local SportMaster representative for specification assistance, and for referrals to qualified tennis court contractors. How Much Does It Cost To Resurface A Tennis Court In Florida? The average cost to resurface a tennis court in Florida can run in the range of $4000 to $8000. If you tennis court is heavily laden with mold, moss, or any other organic growth or has extensive cracks that need to be repaired, it will increase the cost of repairs and you may be on the higher end of the cost range. Asphalt is also known to sink in areas, creating puddles, which are also referred to as “birdbaths”. 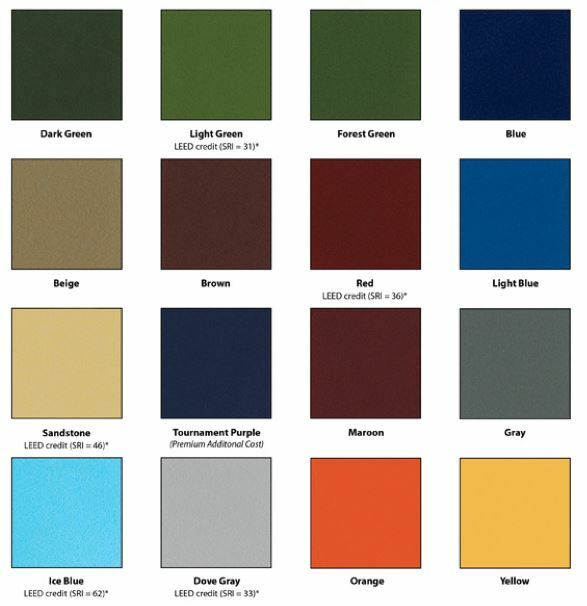 Tennis court contractors can use SportMaster Acrylic Patch Binder patching mix to level the low areas and bring the sunken areas up so that water can continue to drain and mitigate the standing water. SportMaster Sport Surfaces are available in 16 standard color choices. From popular combinations like blue and green, to traditional shades like red and green, SportMaster has got your court…covered. For more information or for free tennis court repair, resurfacing, or construction quotes, use our site menus to find your specific state and region, or click on the “Contact Us” button for faster assistance.